Italian food is such a trendy and hip style of cuisine that, of course, it couldn’t not make a huge impact in one of the most European cities in the US. North Beach, the neighborhood where Italian immigrants settled in large numbers during the late 1800s, features a lot of Italian restaurants, and despite being a bit touristy like many of America’s “Little Italies,” it has some very authentic spots. There, you’ ll find places like L’Osteria del Forno, a joint focusing on northern Italian cooking, and Ideale, a typical Roman osteria. 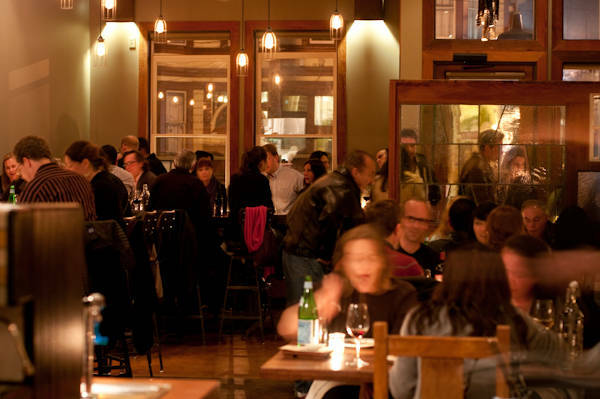 Of course every single neighbor-hood, not just North Beach, has its own signature Italian restaurants– some of them very rustic and tradi- tional, others in the line with San Fran’s hippy vibe. Take Credo, for example, a modern Italian restaurant in the downtown area which believes that dining is not just about eating food but also about engaging in conversations. The restaurant’s walls are decorated with sentences starting with the word “I believe,” credo in Italian. 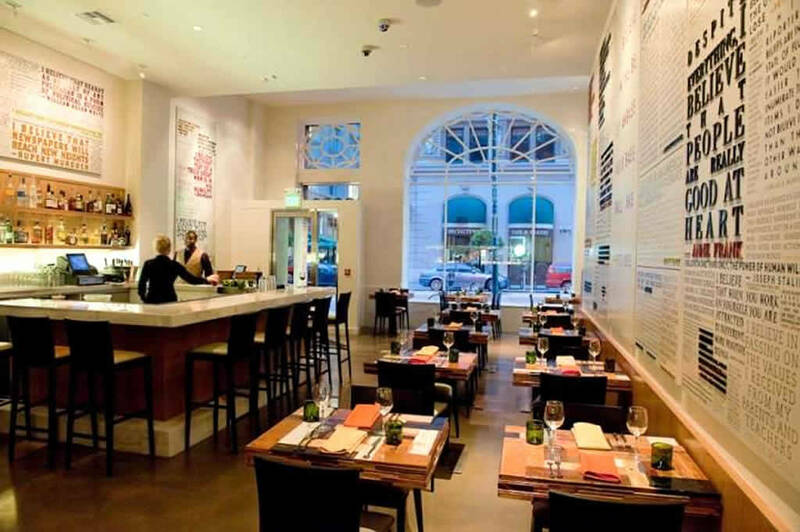 From chic and luxurious at-mospheres to friendly and casual ones, San Francisco’s Italian dining scene has something for everybody. But we don’t want to spoil all the richness of the city’s culinary landscape now! Beginning with this first national issue, i-Italy will take you on an adventure to discover the best Italian spots in town. To start, we selected these unmissable restaurants where you can not only savor the most authentic Italian cuisine but also learn more about local Italian cul- ture and traditions. This is just an appetizer for what’s to come! Enjoy and Buon Appetito! San Francisco is a bohemian city where some of the world’s most incredible artists either lived or passed through. Credo (the Italian and Latin word for “I believe”) is a modern Italian restaurant where you can still feel the Beat Generation’s vibe. Credo believes in the ancient Latin philosophy that dining is not just about consuming food, but also about conducting conversations; therefore, the restaurant’s walls are covered with an intricate array of ideas all starting with the word “I believe.” This concept surrounds the guests and invites them to reflect while savoring typical Italian dishes. For lunch, you may consider ordering one of Credo’s pizzas, and for dinner be sure to try the pumpkin gnocchi with roasted brussels sprouts, squash, apples, sage brown butter, pomegranate, and parmesan. If you’re in the mood for wine, you’ll find a selection of primarily Italian wines from both the north and the south of the peninsula. Our suggestion—take your time when at Credo, this is not a place for people in a hurry. 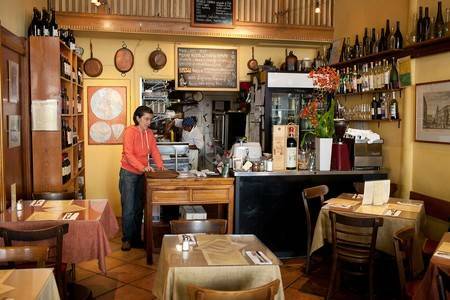 Farina is an exquisite slice of Italy’s Liguria in the Mission District of San Francisco. It truly was a “mission” for the restaurant’s owners to make crude farina (Italian for “flour”) grow into one of the most authentic Italian experiences in the city. The restaurant’s sleek and elegant ambience is sure to enchant diners. 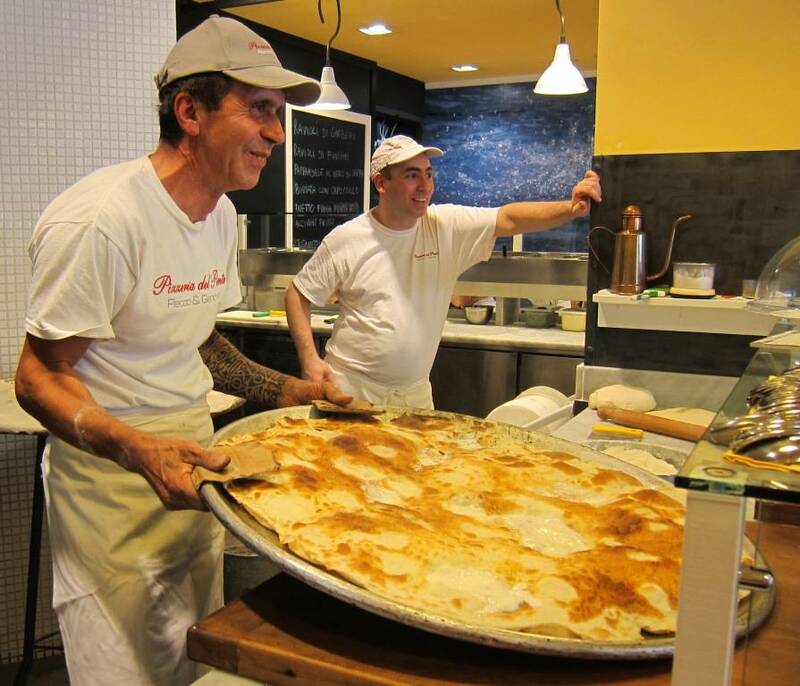 Be sure to try the focaccia di Recco–stracchino cheese melted between two thin layers of dough, a typical dish from the lovely city of Recco. Or perhaps you’re in the mood for a dish made with pesto, a traditional sauce originating in Genoa made with crushed basil, garlic, salt, pine nuts, and sometimes cheese. You can savor it in the succulent gnocchi di patate al pesto–potato dumplings served with basil. Let’s go back to basics. Flour and water are simple ingredients, but they’re at the root of one of the most popular dishes in the entire world— pasta. 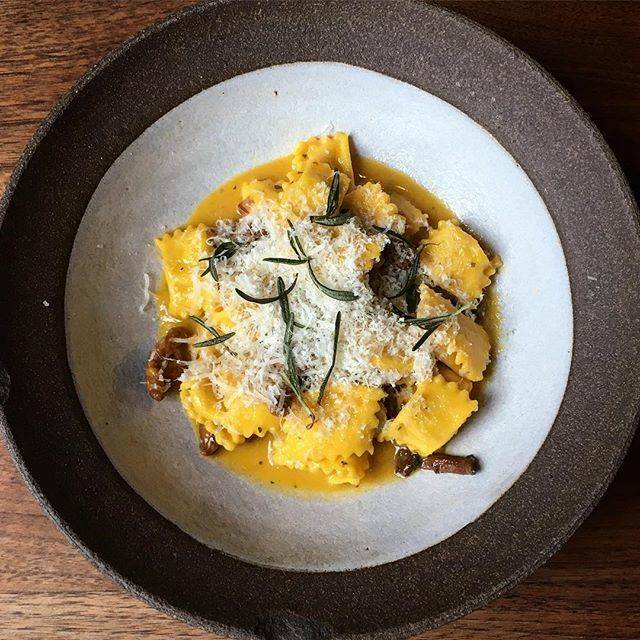 With over 50 unique pasta recipes collected by Executive Chef Thomas McNaughton, this elegant yet rustic restaurant in San Francisco is all about the art of handmade pastas. 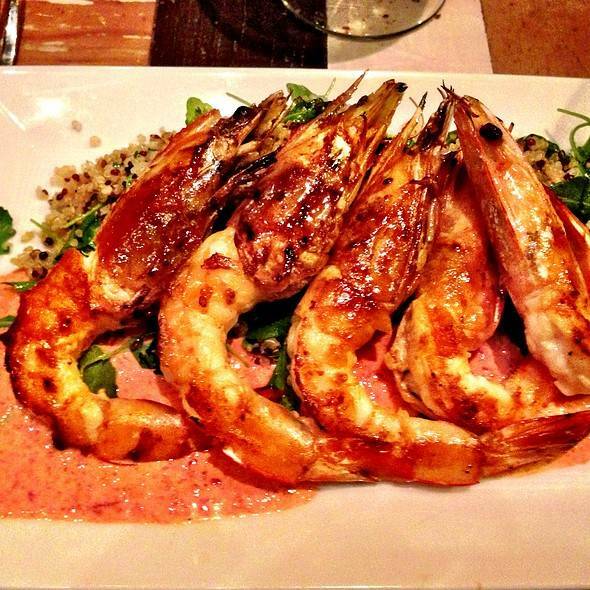 The most simple ingredients in the hands of a gifted chef create true cooking masterpieces. To get the idea, try “gargati with smoked hen, bearss lime, bloomsdale spinach & toasted pistachio” or “whole wheat radiatore with braised duck, brussels sprout & persimmon mostarda.” Neapolitan style oven-baked pizzas are another one of the restaurant’s stand-out items. 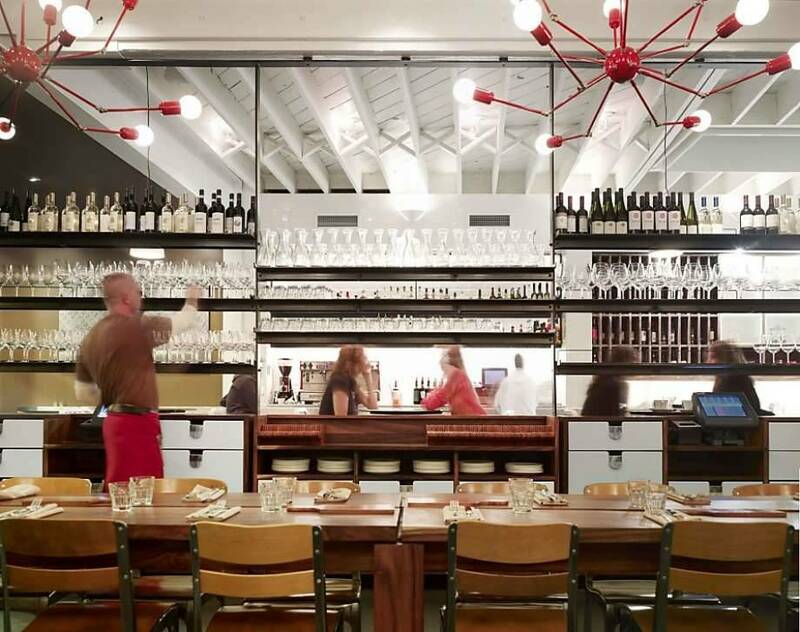 Flour+Water also offers pasta tasting menus and a cookbook named after the restaurant. 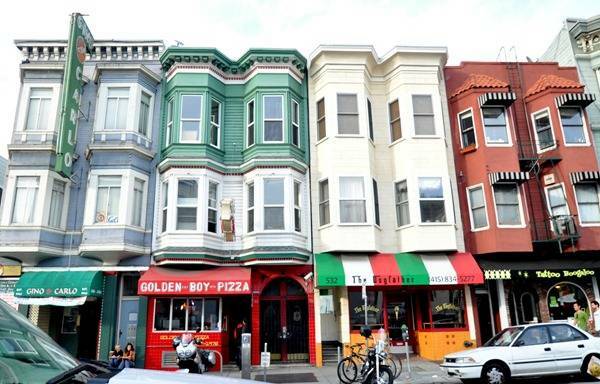 North Beach is often referred to as San Francisco’s Little Italy, and if you’re looking for a real Italian dining spot, be sure to check out L’Osteria del Forno, owned by the oldest Italian family in town. 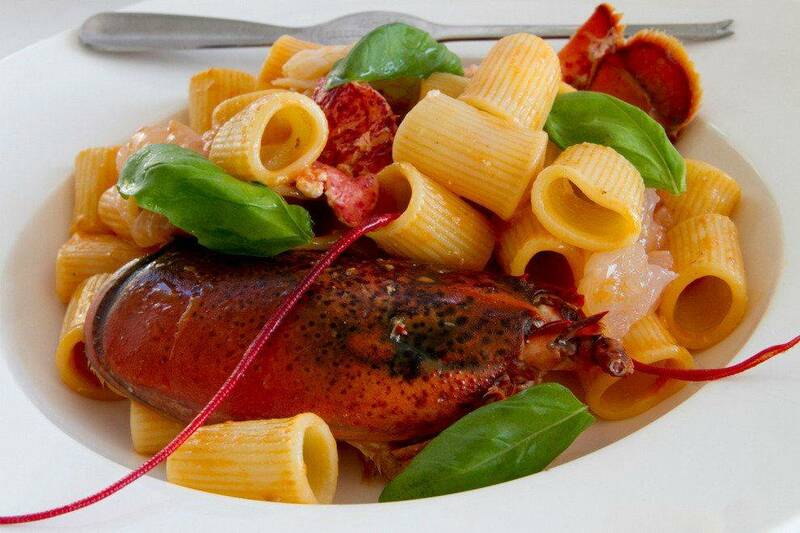 If you’re Italian you know that osteria is indicative of pure, traditional food. Oriented toward Northern Italian cuisine, this restaurant’s menu features typical dishes like arrosto di maiale–roasted pork, spiedino di agnello–lamb kebab, and polenta and formaggi–polenta with cheeses. The wines are purely Italian, and Richard Terzaghi, owner of L’Osteria del Forno, personally selects them from small Italian wineries.